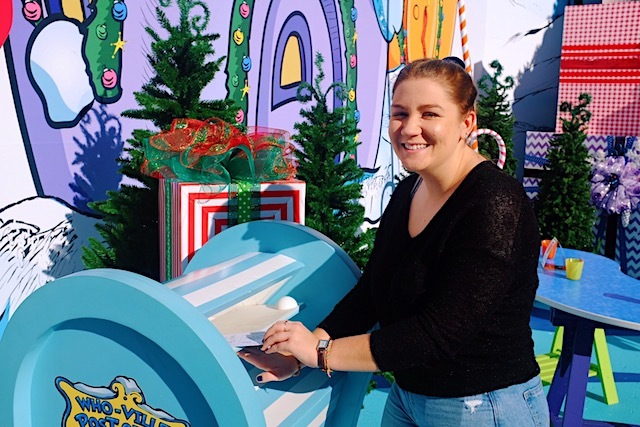 December 10, 2018, 3:25 PM · The annual Grinchmas celebration was in full swing this weekend at Universal Studios Hollywood. 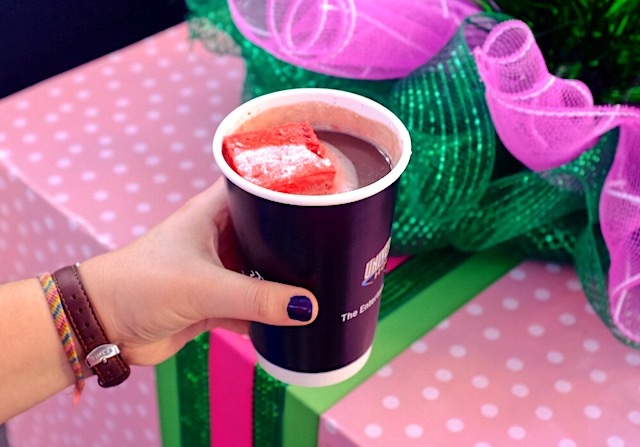 Parkgoers can experience Whoville, the colorful town from Dr. Seuss' "How The Grinch Stole Christmas," sprung to life, complete with a 60-foot tall Christmas tree and abounding holiday decor. Whoville offers a variety of musical performances throughout the day, as well as meet and greets with the Grinch and his dog Max. 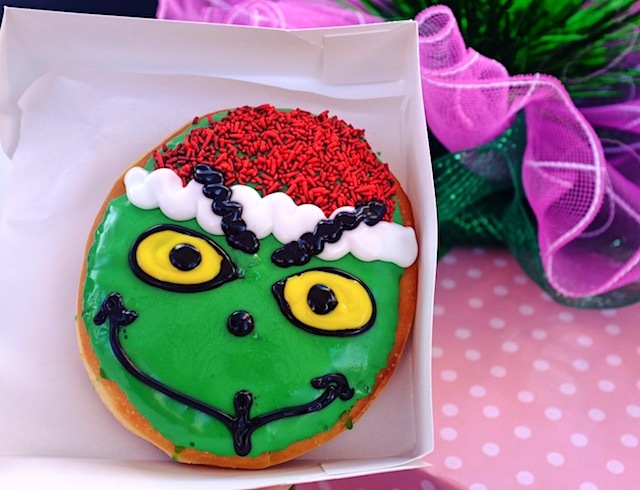 From giant donuts and cupcakes adorned with the Grinch's face to more classic holiday treats like peppermint hot cocoa, Whoville has a full array of yummy holiday goodies to offer. You can even buy yourself a can of Who Hash! Who Hash is a mixture of tater tots, corned beef, and white gravy served in a flashy red can (though they ran out late in the day on Saturday). 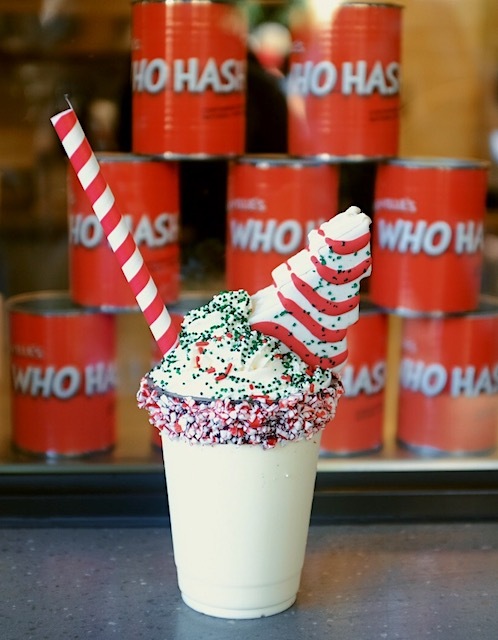 A Very Merry Milkshake from Plaza Grill, with egg nog ice cream, and cans of Who Hash in the background. Be careful eating the cupcake; it’s all too easy to end up with a frosting covered face! 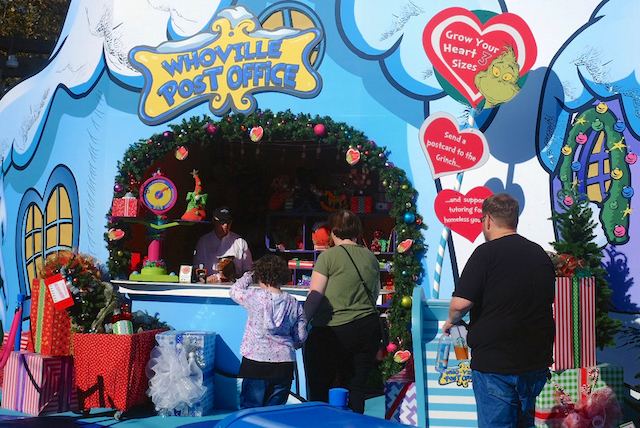 In true Christmas spirit, Whoville even offers parkgoers a chance to grow their hearts three sizes, by filling out a postcard with examples of good deeds and mailing it out at the Whoville Post Office. 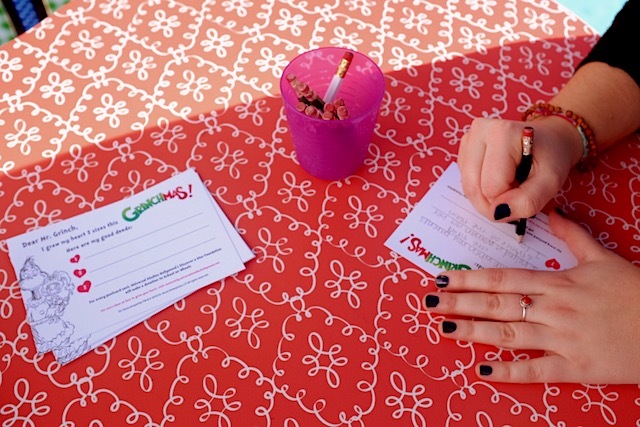 For each postcard sent, Universal Studios makes a donation to School on Wheels, an organization dedicated to tutoring homeless youth in California. 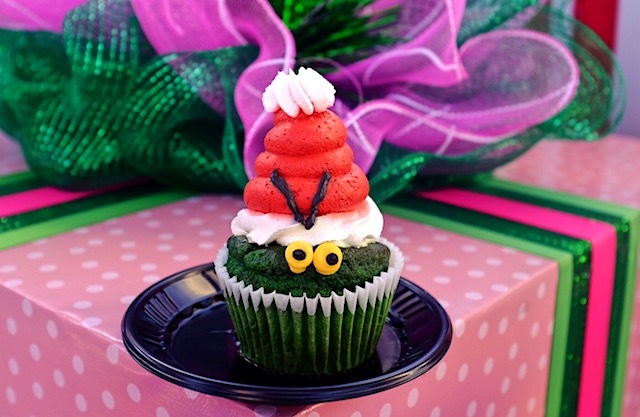 Grinchmas takes place daily from December 14 through December 30th, so don’t forget to stop on by to partake in the festivities, enjoy some holiday treats, and grow your heart as large as you please.